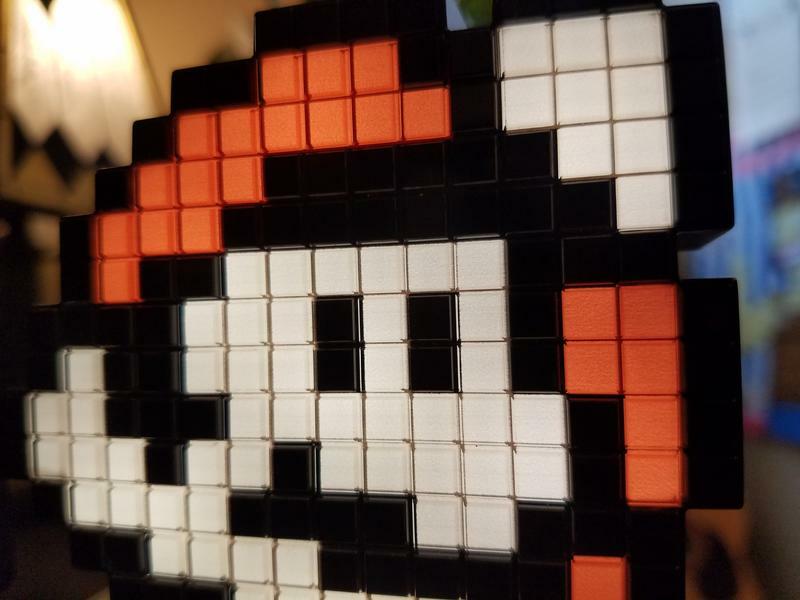 The folks at PDP plopped one of their recently manufactured Pixel Pals in a box and sent it our way to check out and share with you folks. 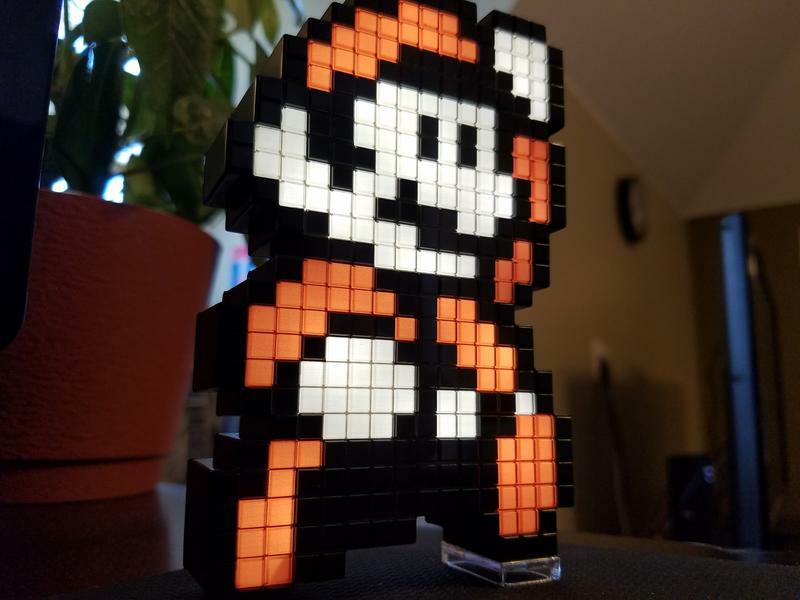 So, without further ado, here’s a Mario Pixel Pal. You recognize this mustached hero from Super Mario Bros. 3, of course. He stands around five inches tall and two to three inches wide. 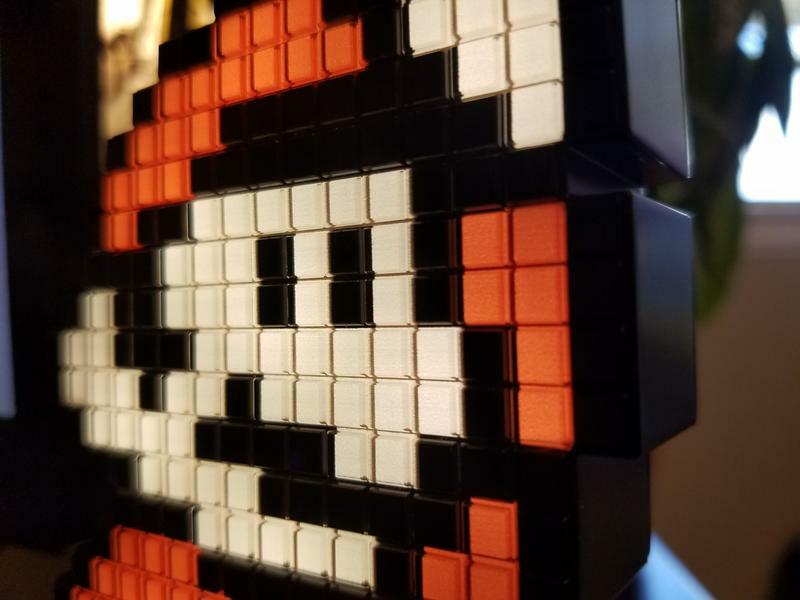 When turned off, Mario looks fine and dandy, but he looks fantastic when switched on. 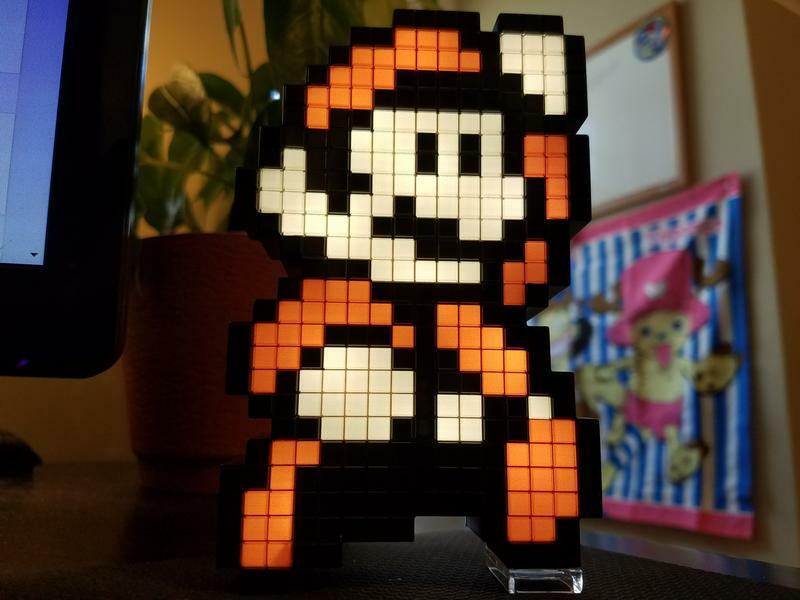 That’s right, these Pixel Pals light up. They require two AAA batteries with no option to plug in through USB or another charging means. You’ll see around 24 or so hours with them lit, and then their brightness fades until the batteries die. At least, that’s how long mine lasted. Now he’s sitting in the off position on my bookshelf looking dapper. 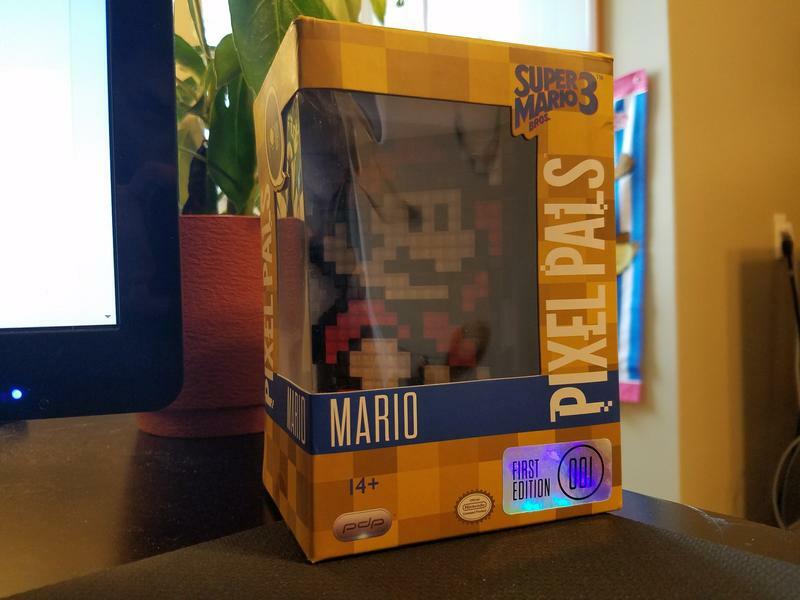 The Pixel Pals are going for $14.99 a piece, and they’re a pretty great piece of collectible art for fans. Find them here. 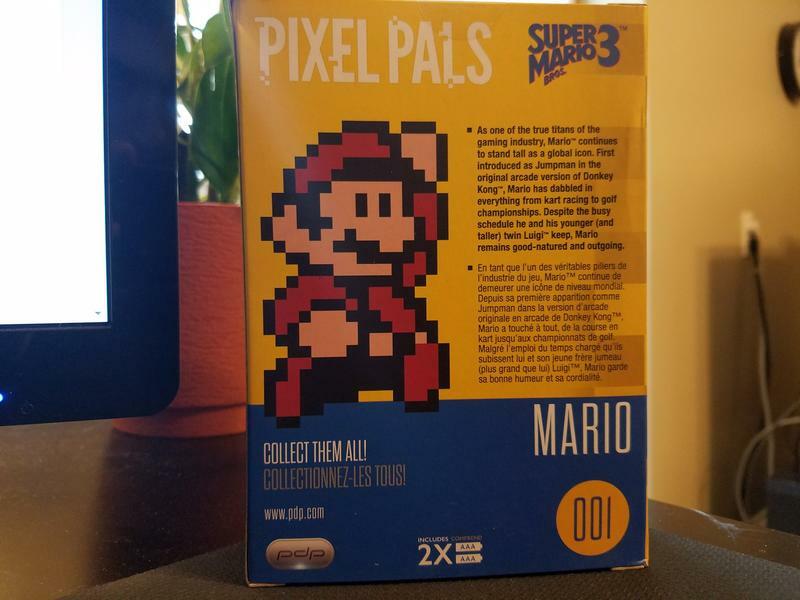 You can get Mario, like you see above, as well as Mega Man and Pip-Boy. These are great. Point me to the Link one when he releases, please.